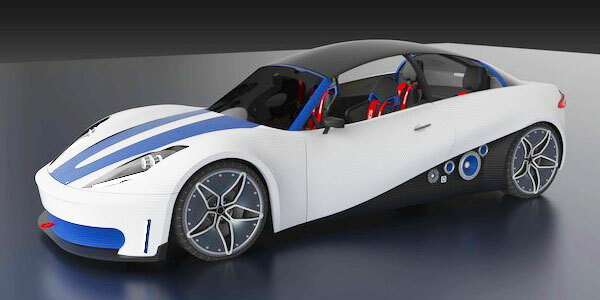 Local Motors has revealed a 3D printed car. Fully customizable and more energy efficient than cars on the market today. While today’s cars use a stamping method which does not allow any sort of customization, (unless you’re a millionaire or some sort of person of notoriety) 3D printed cars are easily tweaked, just by changing the programming of the printer and in a couple of days, voila, new customized car. Local Motors is saying that they are trying to debut the vehicles by the first quarter of next year and the price range will be around $18,000-$30,000. Along with that, LM is hoping that by tweaking the programming of things in the interior, like using honeycombing on the inside of structures, versus having a solid mass, will help to cut down on weight, which will make the cars more energy efficient. In other words, ‘times, they are a changing’ get ready to get your car printed. 3D printed cars SHUT YOUR LYING MOUTH!